To knit toys. To crochet toys. To knit toys?! To crochet toys?! What a strange idea! There are so many different kinds of toys at the stores. Choose any of them and be happy. That's exactly what I would say if I have not seen a crochet doll made by the talented designer Nelly Bolgert. A doll was bright, funny, and certainly looked happy. Similar to those which you can see on this page. That crochet doll made me wonder whether I can make similar crochet toys. You know that "itching feeling" in your fingers: "I want to try it!!!". Some research about knitting and crocheting of toys were made. Nelly's site was the one which helped me to catch a general idea about making stuffed toys. 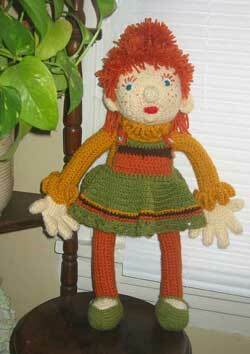 She provided instruction on her site where she explained the way you can crochet a doll. Here is my experience of making a crochet doll according to Nelly's instruction. I'll share it with you at the Crochet Doll page. Meanwhile, my research has continued. It was impossible even imagining what kind of "discoveries" were waiting for me. If you knit and crochet all your life, but have never been interested in making crochet toys or knit toys, the finding will amaze you as much as they amazed me. There were a few things which I didn't expect to discover. First of all, number of people who love and make toys by themselves. There are literally millions of them. Secondly, level of their mastery in many cases was so high, that you not always can understand the way their crochet and knit toys were made. And the last, but not the least. No matter which level of mastery all those people have, their work always make you smile. People's creativity is really amazing. They use different materials, techniques of knitting, crocheting, needle-felting. Some crochet and knit toys require certain level of mastery from its designer, but some are very simple and you and your kids will have a lot of fun making together crochet and knit dolls, cats, elephants, bears, cars, trains, houses, and whatever your imagination tells you. I would like to share my findings with you. The toys presented on this page are made by the three Russian designers. Their toys don't look alike, they use different techniques, but for some reason you experience the same feelings once you see them. They make you smile and you want to look at them again and again. Here they are. Nelly Bolgert is a professional Russian designer who has lived in Germany. Her crochet dolls are only one part of her creative works. She is the author of a few books and magazine articles dedicated to different kinds of crafts and needlework. Her site is written both German and Russian languages. Information about Nelly Bolgert can be found at the help-page Crochet Doll for the English speaking readers. The page has step by step instruction about making a doll according to Nelly's ideas. Elena Karpuhina. On her site Elena says: "I would like to share all my numerous hobbies with people. All things which can be found on her site are made during the long winter evenings." Elena's site is written in Russian, but her works certainly won't leave you indifferent. They are full of humor, each creature she made has its own special and unique name and character. Enjoy! 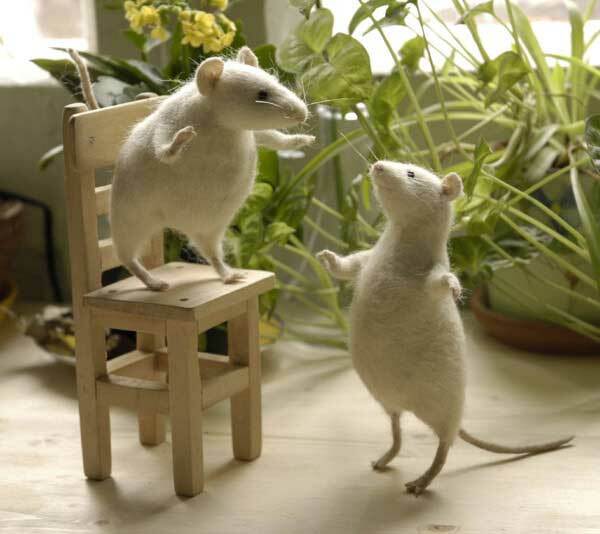 And here is an amazing world of the stuffed animals created by Natalia Fadeeva. 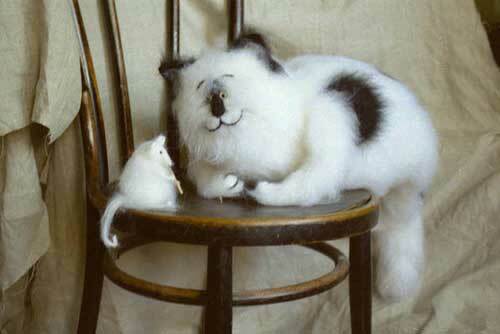 Most of her designs are knitted from mohair, while others are needle-felted. Natural and tender colors, scrupulous design, and attention to the tiny details make her masterpieces so much alive that you can hardly resist desire to touch the screen of your monitor in order to check whether they are really alive. A Crochet Doll: How to crochet a stuffed doll. Instruction. Part 1. A Crochet Doll Clothes: How to crochet a stuffed doll. Instruction. Part 2.